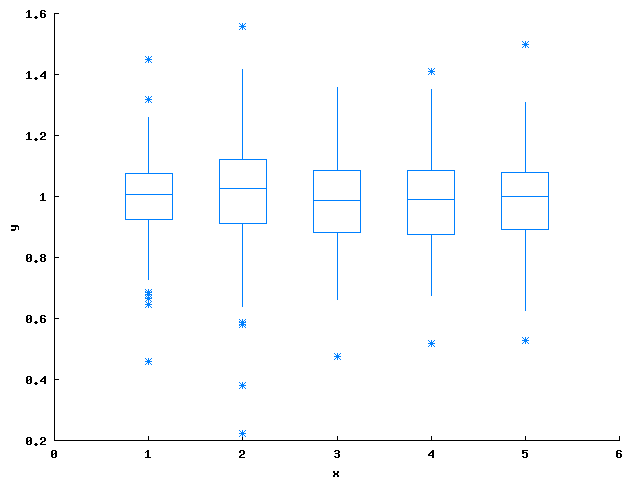 Function boxplot() in Boxplot produces a box and whisker points for the vector data. 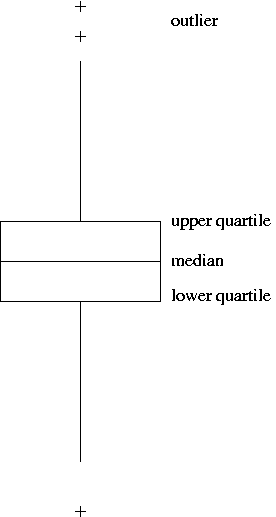 As shown in the figure below, the box has lines at the lower quartile, median, and upper quartile values. The whiskers are lines extending from each end of the box to show the extent of the rest of the data. Outliers are data with values beyond the ends of the whiskers. Whiskers extend from the box out to the most extreme data value within 1.5*fs, where fs is the range of two quartiel (lower and upper). The program can be compiled using a C++ compiler with SIGL. The program can also readily to run in Ch Professonal Edition.